Illustrations have always been an important part of my work. I enjoy developing different styles to complement my designs. I illustrated the cover for the novel The House Between Tides, Waterstones’ Scottish Book of the Year 2018, by Sarah Maine. For me The Who represent energy and style. In this illustration I tried to reflect both, combining Pete Townsend’s signature windmill move with the mod target. The design placed highly in a competition run by fashion house Pretty Green. Nord are multi award-winning architects based in Glasgow and London. 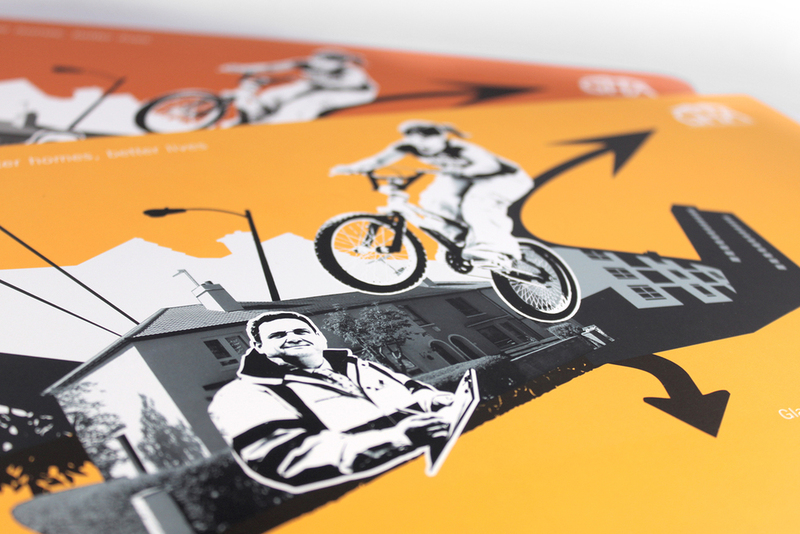 This illustration and set of promotional designs were commissioned to explain redevelopment plans in Hanley, to the local population. I used easy-to-interpret icons in the style of an instruction manual as an alternative to the complex architectural drawings. I created an Earth Day infographic to highlight some of Bloomberg Philanthropies amazing environmental work, widely shared across all social media channels. 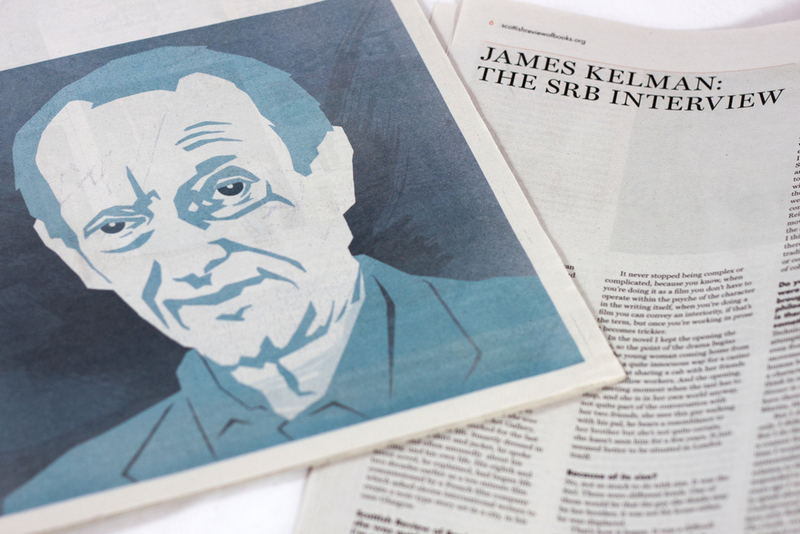 I've illustrated two covers for The Scottish Review of Books: a politically themed image featuring British Prime Ministers Gordon Brown and David Cameron, and a portrait of author James Kelman. I created woodcut-inspired illustrations for The Porridge Drawer, a commemorative recipe book produced for The Big Lottery Fund. ConservationKids.Org is a nonprofit based in Point Reyes National Seashore, dedicated to connecting kids to conservation through photography. I volunteered to design the identity–featuring illustrations of local wildlife–as this is a place and cause I care a lot about. I created multiple line-art illustrations to communicate a wide range of AppDirect's features across multiple products. These illustrations have been featured on the website, marketing collateral, and digital ads. These avatars were created for a publication for the UK’s National Health Service, educating children on sexual health issues. Iconography was an important part of the Dept. of Consumer Affairs' Paid Sick Leave advertising campaign. I developed these, along with art direction, in conjunction with designs by Natalie Mertz. These avatars were created for a publication for the UK’s National Health Service, educating children on sexual health issues.The Inspiration Festival is a multi-arts festival for children and young people to inspire creativity, imagination and promote learning. For three years running I have created 3D illustrated models and combined them with vectors to form the basis of an engaging visual language that mirrors the festival’s activities. These illustrations have then been applied to the events brochures and promotional material for two distinct age groups. The Wee Inspiration Festival is a companion event to the main festival. Illustrations to promote this series were especially aimed at a much younger audience. I designed this Art Deco-inspired cover for a photobook as part of a personal project. I was commissioned to create this illustration of British Prime Minister David Cameron and Scottish First Minister Alex Salmond by Hachette, for a potential future publication. When my brother got married I was honored to be the Best Man and collected a number of childhood memories for the speech. I later compiled these into an illustrated book as a gift. You and Who are a clothing company who sell unique t-shirts that help worthy causes in cities across the country. I was asked to create a design for Newark, New Jersey, choosing to highlight the city’s industrial rebirth, and support local people in need. 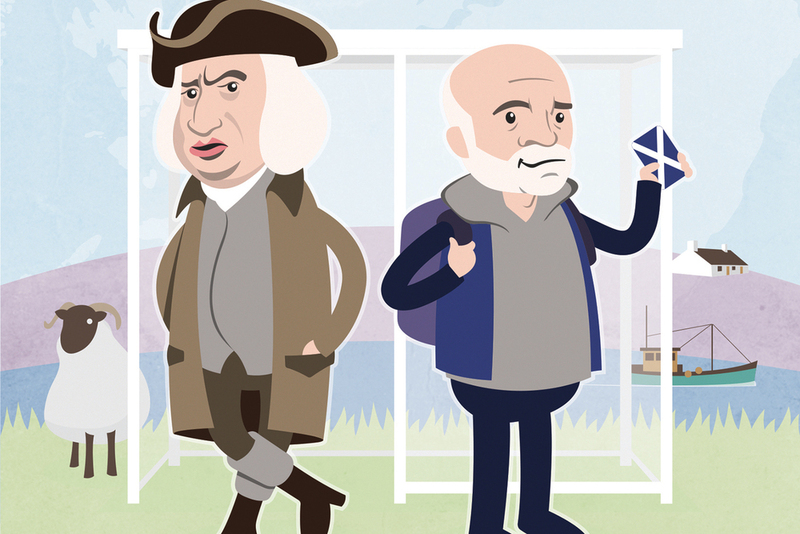 I created the cover illustration for Caledonia Dreaming by John KV Eunson, a humorous book about '100 Scots Who Changed The World, Not Always For The Better! ', published by Hachette. Grey Matter from Moxie Comics is an anthology of stories, showcasing the work of some of New York's finest new comic book writers. I illustrated one of these graphic novelettes, Marlene, by the very talented Mariel Miranda. Marlene is a dark and slightly disturbing tale of obsession and death. Comic book review site Spandexless said, "the characters have an eerie aura to them. It is a horror story that Poe would pale to read." In the 1700s diarist James Boswell embarked on a tour through the highlands and islands of Scotland with his friend Samuel Johnson and produced a noted travel journal. Almost 250 years later author Stuart Campbell retraced his steps, armed with a bus pass, and produced a humorous and popular travelogue of his own. I was commissioned to illustrate the cover for the digital edition of Boswell's Bus Pass. 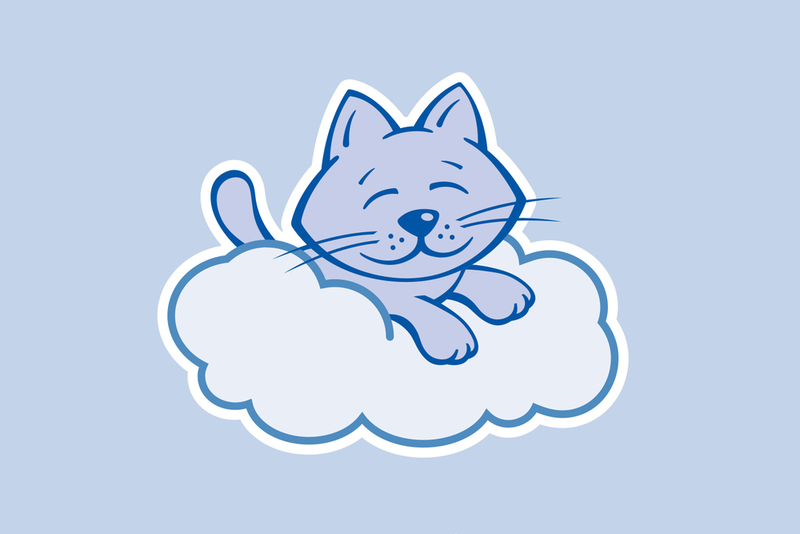 I created the identity and marketing materials for cat sitting service Cloud 9 Cats. These illustrations were commissioned by Heriot-Watt University for inclusion in their space camp event. Get Set for Space was created with the aim of inspiring young girls to take an active interest in science. There were three divisions; space, technology and the environment. A few years ago I was lucky enough to go on a roadtrip around the American Southwest. To mark the occasion I undertook a personal project, creating a collection of my photography. 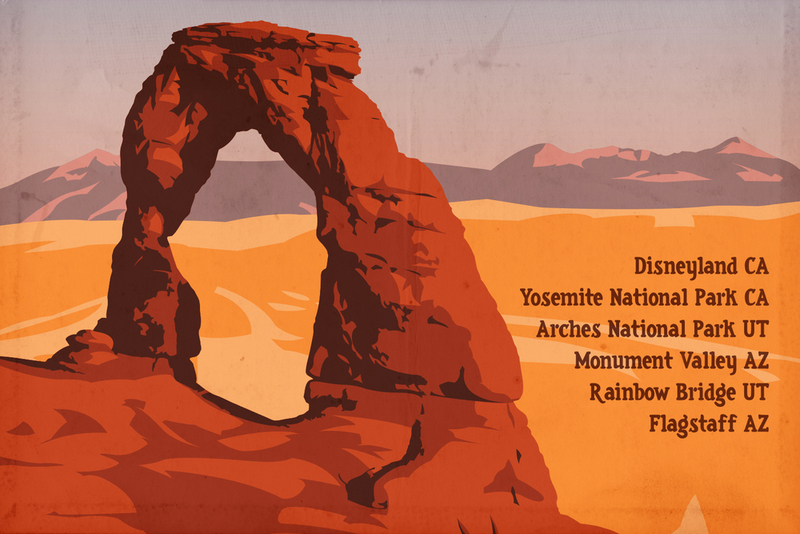 Titled Off to Great Places after the Dr. Seuss book, the design and illustration were inspired by old WPA posters I saw in the National Parks. A series of goth-inspired illustrations to decorate the restrooms of The Cathouse nightclub, commissioned by Nord Architecture. I took it as a compliment when the initial set were stolen in the first week! 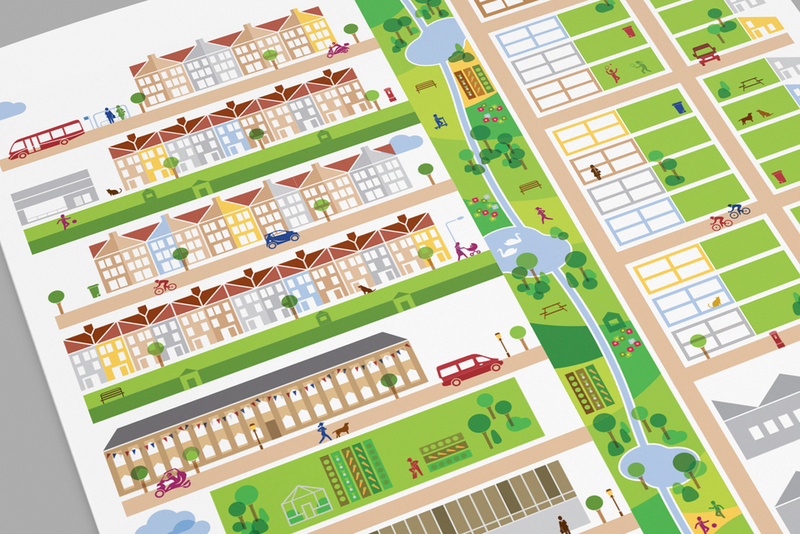 Glasgow Housing Association is one of the largest social landlords in Europe. Over a number of years I have designed and provided illustrations for various public and internally facing publications. I designed this cover for a personal photobook featuring illustrations of buildings in the states we visited. The Network for Teaching Entrepreneurship is an international non-profit organization providing entrepreneurship education for young people from low-income communities. I created portraits of their supporters for their annual Awards Gala. 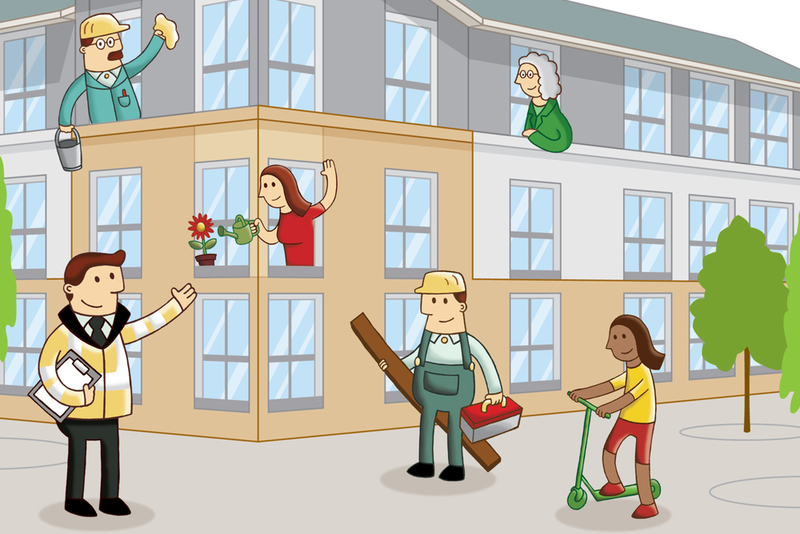 I created a friendly, quirky and accessible illustration style for New Gorbals Housing Association, depicting the local population in familiar settings through four consecutive annual reports. 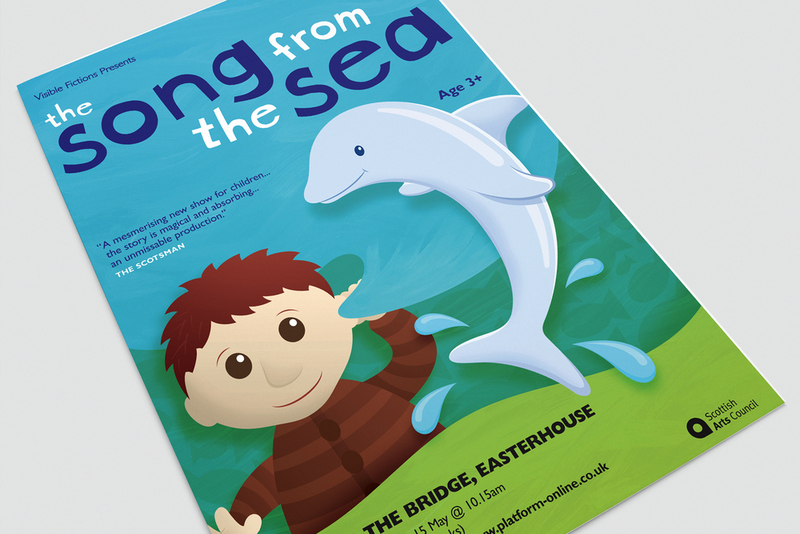 I created these designs to promote The Song from the Sea, a Visible Fictions production for infants, blending puppetry, music and visual storytelling. As a mix of hand-painted textures and vector details, the illustrations were great fun to develop. I created a series of woodcut-style drawings to illustrate Eating In, a cookbook from Masterchef winner Sue Lawrence. These modular illustrations were pitched for an advertising campaign to promote financial assistance on the subjects of debt, savings and credit.